Emily Reviews writers were provided with product for the 2015 Holiday Gift Guide. There are affiliate links in this post. 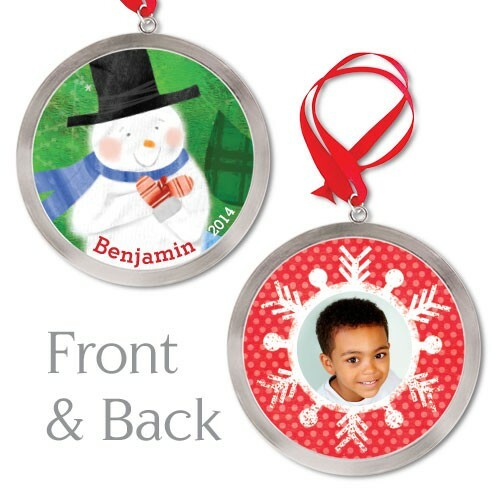 I See Me ornaments can be personalized with your child’s photo and name. They also display the year so that years from now you’ll be able to recall which year the ornament was for. Several designs are available so you can choose your favorite or choose a design that best suits each child’s personality. At $9.99 they’re really affordable, too. Buy it: I See Me. Lego building blocks have been a favorite toy among boys and girls for over fifty years. 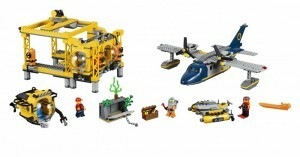 The Lego Deep Sea Operation Base kit takes kids on a ocean journey. 907 pieces allow kids to build a seaplane, 2 submarines, a shark, 5 mini-figures and more. The Deep Sea Operation Base kit is suggested for kids ages 7-12. Legos are available in several themes, sizes and kits. Buy It: www.shop.lego.com or Amazon.com. 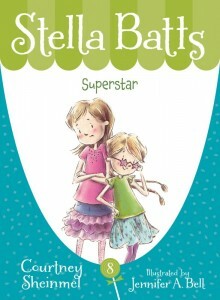 Sleeping Bear Press recently published the eight book in the Stella Batts series, called Superstar. Stella Batts is a fun loving 3rd grader. In Superstar, Stella is auditioning for a role on her favorite TV show. She rehearsed her lines and practiced her scene but when it came time for the real deal, things didn’t go as planned. Will Stella get the job? Stella Batts is a great series for kids ages 6-8. Coming up with stocking stuffers for kids can sometimes be difficult. Consider adding a Kidz Bop Tooth tunes toothbrush to their stockings. Tooth tunes play a trendy Kidz Bop song for two minutes; the proper length of time for brushing. Tooth tunes are available with several favorite Kidz Bops songs. 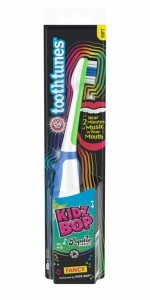 Kidz Bop Tooth tunes can be purchased through major retailers such as Walmart, Kmart, Target and more. Learn more in my Kidz Bop review. Buy It: www.armandhammer.com or amazon.com. Puzzle Warehouse offers a large assortment of jigsaw puzzles. They have many different puzzle themes, piece counts, and styles for you to shop. Their mini puzzles are perfect for stocking stuffers. 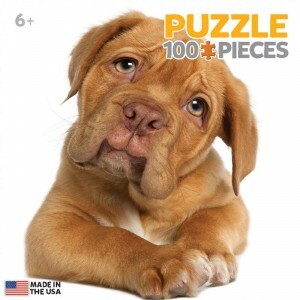 The puppy mini puzzle has 100 pieces and is approximately 7″ x 9″ when complete. Puzzle Warehouse has more than 100 mini puzzles for you to chose from. Learn more in my Puzzle Warehouse review and enter to win a $50 Gift Code. Stuff their stocking with Jack N’ Jill all-natural children’s dental care products. Jack N’ Jill offers kids toothbrushes with fun designs. These toothbrushes have rounded nylon bristles for deep cleaning. They also have an ergonomic handle made from 100% NON- GMO Corn Starch. Jack N’ Jill dental care products are safe and fun to use. Learn more in my Jack N’ Jill review. Buy It: www.JackandJillKids.com or Amazon.com. Stuff their stockings with Snow Gloves from Gymboree! 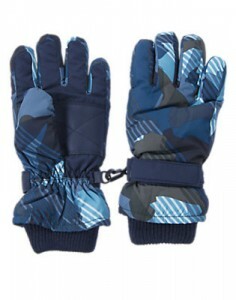 Boys blue Camo Snow Gloves have a fleece lining inside them and a polyester exterior. A rib cuff helps protect little hands from the cold. Camo Snow Gloves can be easily adjusted with the touch close strap. Gymboree Camo Snow Gloves come in small, medium and large. Learn more in my Gymboree review. 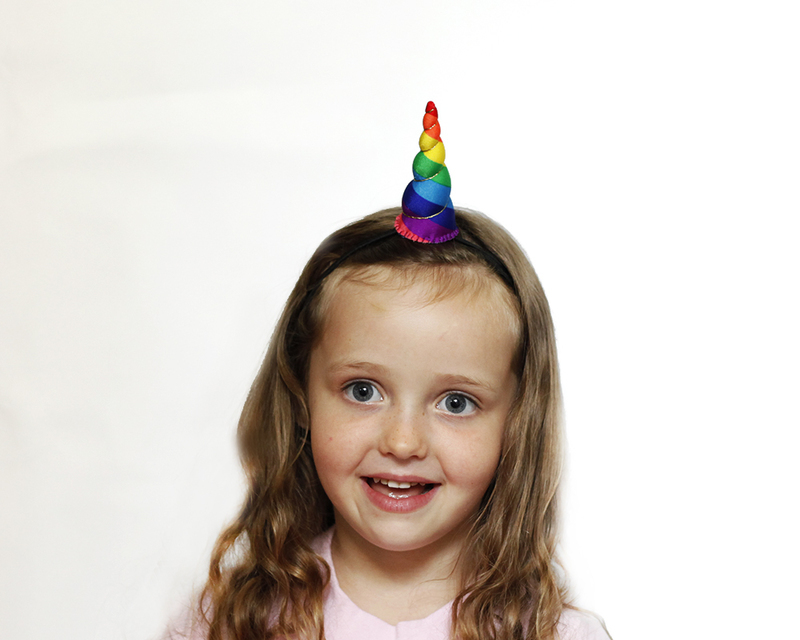 It’s time to jump into the world of imagination with a Brooklyn Owl Rainbow Unicorn Horn! This headband version is easy to wear and perfect for the most active unicorns. Perfect for kids or tweens, this lightweight horn is unique and fun and will definitely turn heads. It measures in at 1.5″ and is approximately 3.5″ tall. Learn More: Head over to my Brooklyn Owl Review to learn more. Buy It: BrooklynOwl.com or Amazon.com. Add some sparkle and pizazz to the stockings with Feifish‘s New Recycled Glass Ombre Sealife Bracelets. These handmade bracelets are available in a variety of fun sea inspired designs. The antiqued silver finished beads offer the perfect touch to the stunning beads. Designed with an elastic, one size fits all band. Learn More: Head over to my Feifish Feature to learn more. 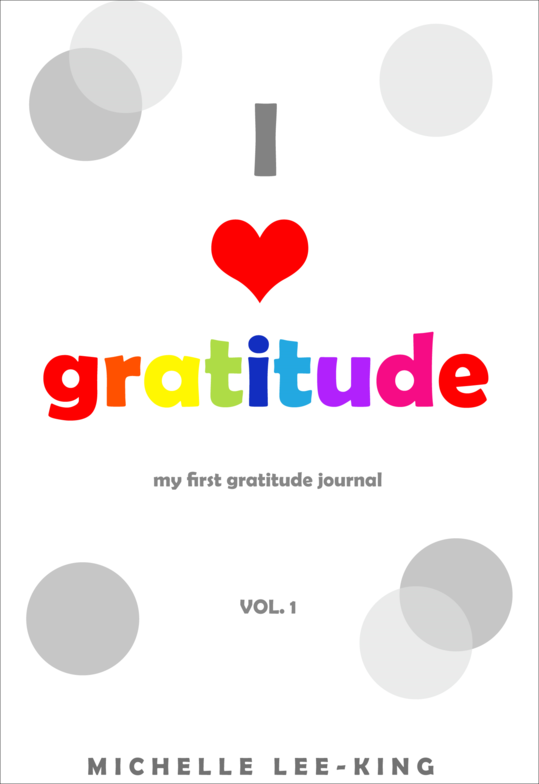 The I Heart Gratitude Journal is a 60 journey designed to instill gratitude and a thankful heart in children. This is a simple daily journal that has kids listing three things they are grateful for each day and practicing kindness. Kindness and positivity can become second nature with just a little practice and diligence and this great little book is the perfect tool to help. When looking for a delicious treat to sweeten up the Stocking, look no further than Justin’s Organic Peanut Butter Cups! Available in white chocolate, milk chocolate, and dark chocolate, these peanut butter cups deliver ultimate flavor with each bite. Sure to be a hit for all ages, these treats are so delicious they are sure to disappear quickly! The Stephen Joseph Magnetic Tic Tac Toe Sets are loads of fun! A magnetic spin on this age old game allows for easy on the go play while the fun and colorful pieces add a whimsical touch of personality. The metal tin doubles as both a storage case as well as the game board. Definitely a great stocking stuffer for all ages! Learn More: Head over to my Stephen Joseph Feature to learn more. Head over to Circle C Ranch in Susan K. Marlow’s Circle C Beginnings wholesome chapter books geared for girls ages 6 to 9. Join Andi and her baby horse Taffy on their many adventures around their California Ranch back in 1874. This six book series is easy to read and even includes some fun illustrations making this sure to be a great stocking stuffer this Christmas! Learn More: Head over to my Circle C Ranch Review to learn more. The SolarPuff Lamps from SoLight Design would make a perfect stocking stuffer this year. The flat packable design makes it quite unique and easy to transport while the LED lights offer a bright and eco friendly alternative. 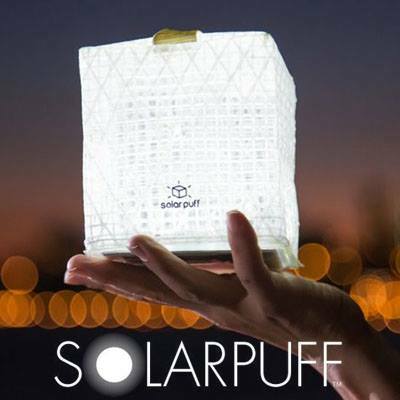 The SolarPuff fully charges in just 8 hours of bright sunlight and give off 8-12 hours of bright light. A fun, useful gift that will truly light up the room! 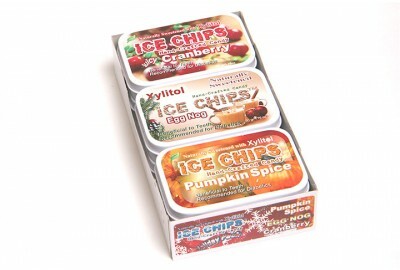 Pack a punch of flavor this Christmas by putting some Ice Chips Candy in the Christmas Stockings! Available in a variety of flavors, these “good for you” candies are made from xylitol and even diabetics can enjoy. The Holiday Assortment Pack comes with: Juicy Cranberry, Egg Nog, and Pumpkin Spice flavors which are all sure to brighten Christmas morning! Connect: Head over to my Ice Chips Candy Review to learn more. On your mark, get set, brush your teeth with Firefly’s Light Up & Sound Toothbrushes. Choose from a variety of fun characters and designs and take away the battle when it’s time for dental hygiene. A one minute timer automatically turns off letting children know it’s time to switch from the top row of teeth to the bottom. Fun sculpted handles with soft bristles make these toothbrushes a hit so stuff some stockings this year with Firefly! Coloring has been a well loved past time for many years now. However, it’s not just for the youngest of family members. 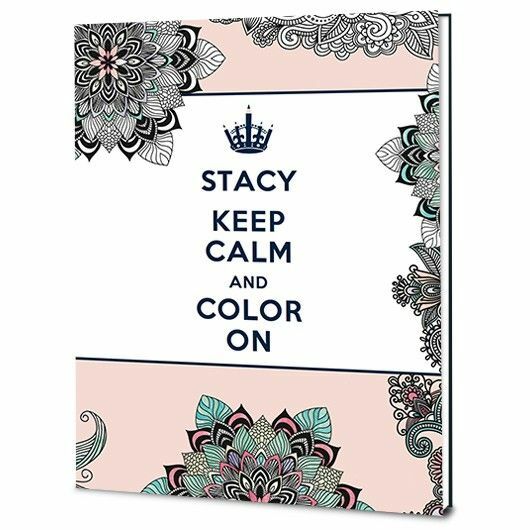 The Put Me In The Story “Keep Calm & Color On” coloring book offers a new twist. Starting with the personalized cover in inside message, the interior of this book is filled with over 60 beautifully designed patterns sure to please. Say please specializes in a fun line of love notes called Lunchbox Love. Each Lunchbox Love card has a trivia fact or joke on one side and a supportive message on the other side. 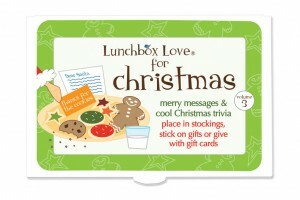 The Christmas Lunchbox Love cards have festive trivia and special messages from Santa. For example, did you know a “telephone company employee invented electric Christmas tree lights.” Did you know that “there are two states in the US that have towns called Santa Claus–Georgia and Indiana.” Lunchbox Love cards are perfect for tucking into Christmas stockings. 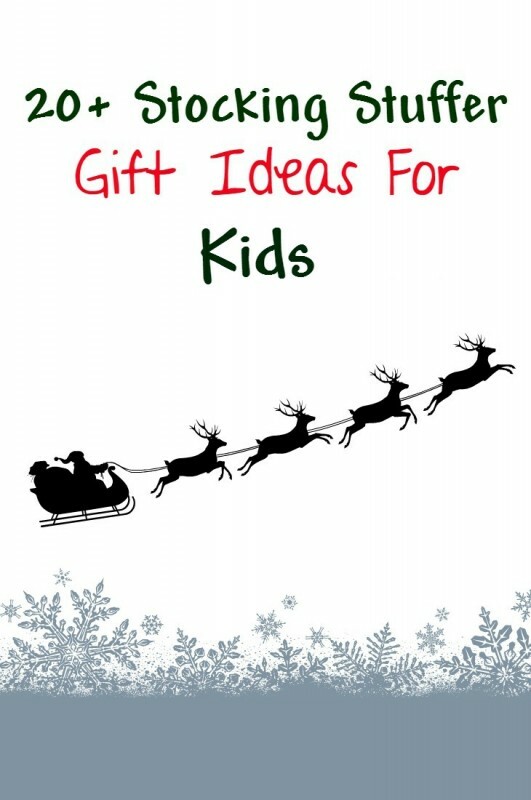 Need more stocking stuffer ideas for kids? See our 2014 stocking stuffers for kids guide. I love all these suggestions. 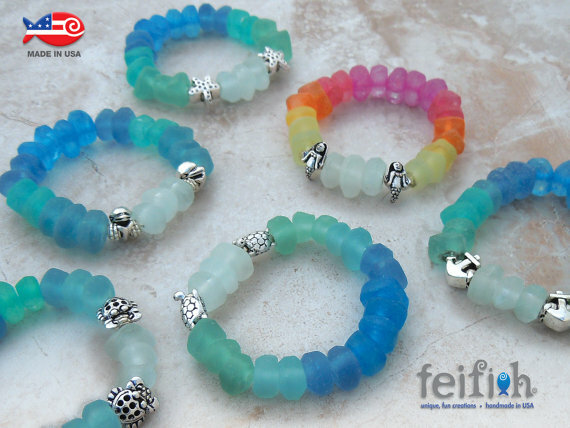 I really like the Feifish‘s New Recycled Glass Ombre Sealife Bracelets. I think I will get it. I really like the I See Me ornaments. I love that it has the year and that you put a photo of the child in it. It is a great tradition to start and every year to do again. When you hang the ornaments and you see the year and their photo, you would look back on that time. Plus, I could see how it could be gifts for grandparents, aunts/uncles and godparents. I have 4 kids. The oldest is 16. I remember when she was old enough to help decorate the tree and I would tell her stories of my family decorating the tree and about the homemade ornaments that my grandmother made. I can see doing that with the photo ornaments, too. Thanks these are all great ideas,i would love to try the Ice Chips Candy !